When designing your patio, there are several ways to make the space as warm and inviting as your interior living area. There are simple design techniques and accessories that you can utilize to make your patio a fun entertainment space. 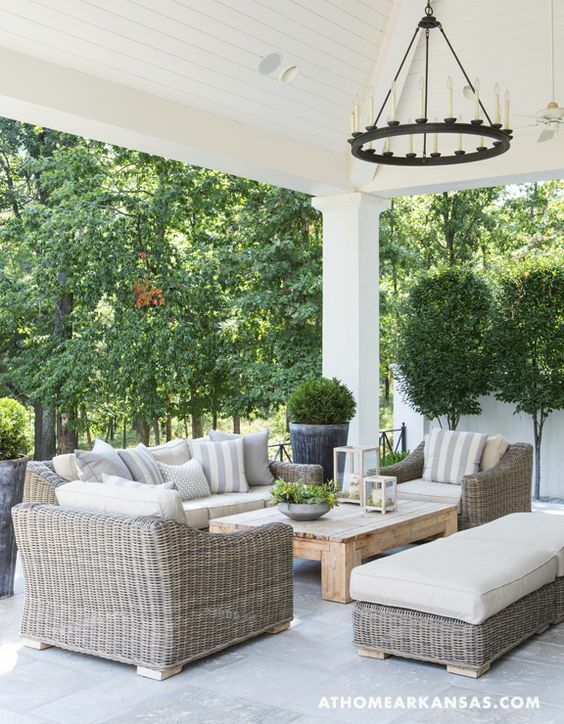 Here are a few patio design ideas that will create ambiance and make a welcoming space for guests and family members. Furniture placement can play a role in determining how welcoming your patio feels. You can create a cozy, inviting conversation area using a sofa and a few accent chairs and tables. An outdoor rug can be used to unify the entire area. If space allows, you may also want to designate a portion of the patio as a dining area. Wicker furniture has long been a popular choice of patio furniture. Its natural beauty and extensive variety of available styles make it a trendy furniture option for today’s patio designs. Add accessories to your patio living area that will increase the ways in which the space can be used. With the proper accessories to enhance wicker furniture, you can easily increase the duration of time you can enjoy your outdoor living area. Movable firepits make it possible for you to comfortably spend time on your patio as the summer seasons departs and the chill of autumn arrives. 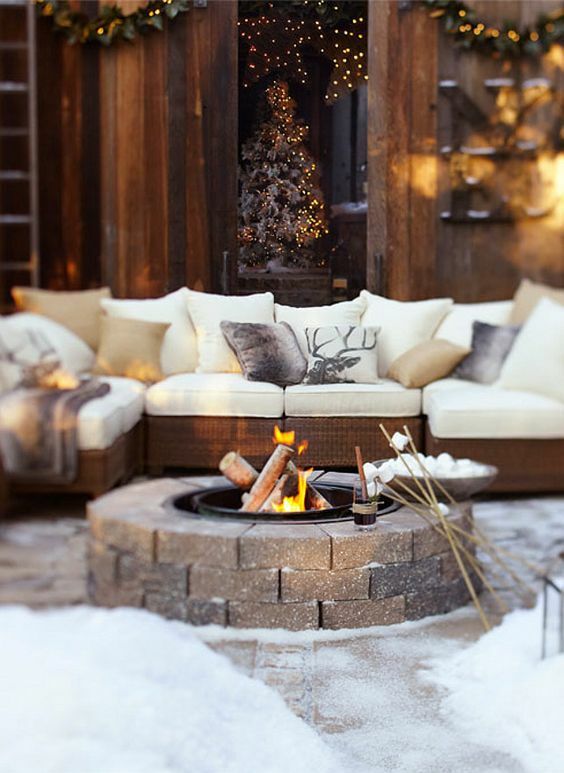 If you’re feeling adventurous, plan a winter patio party where the firepit is the central gathering location for roasting marshmallows and enjoying hot drinks under a clear winter sky. 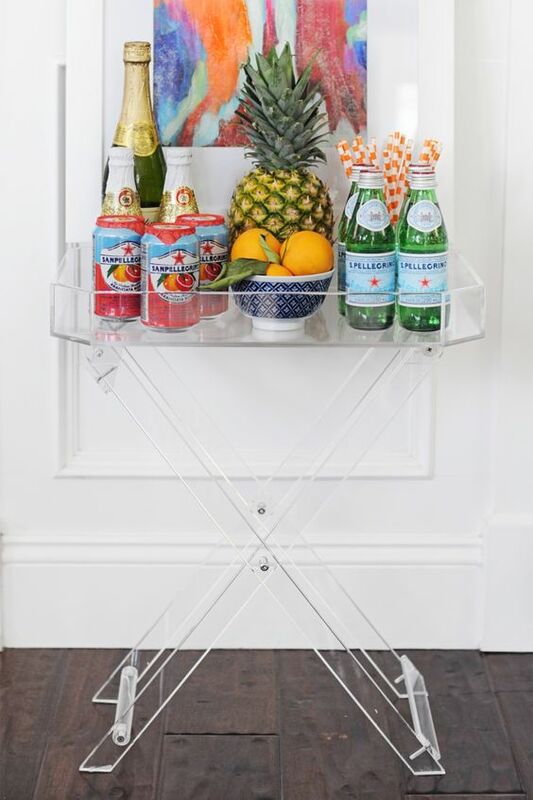 A rolling wicker, wooden, resin or steel cooler cart would be the ideal patio accessory for spring and summer parties. Table umbrellas, butler trays, and rolling island carts are all patio accessories that can enhance your outdoor experience. Planters filled with lush green plants are simple accessories that can add privacy and beauty to your patio as well. Incorporating a variety of lighting into your patio design will allow you to change the overall atmosphere at a moment’s notice. 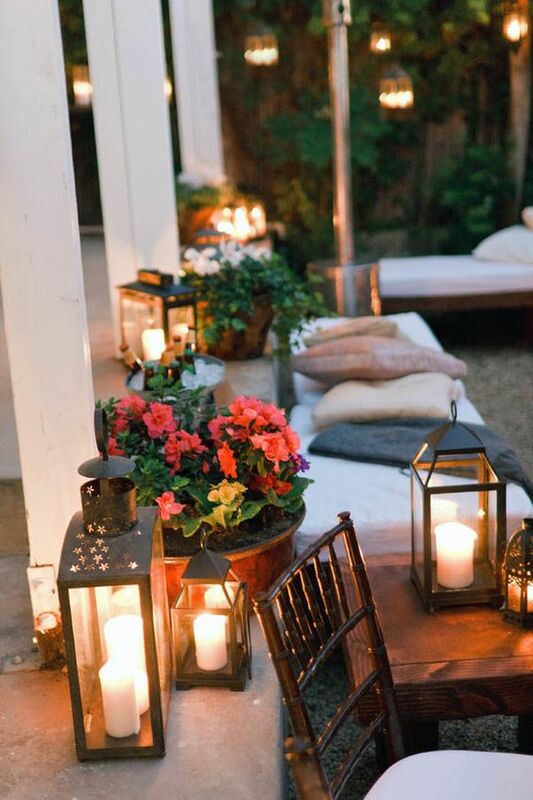 From outdoor chandeliers to table top candle lights, there are endless options to choose from. Choose lighting based on how you want to make your patio feel, whether it be festive, romantic or welcoming. When designing your patio, consider the variety of ways you plan to use the space. A patio furniture arrangement can often be moved around to accommodate whatever type of activity you’re planning. Accessories can increase the versatility of your patio design. 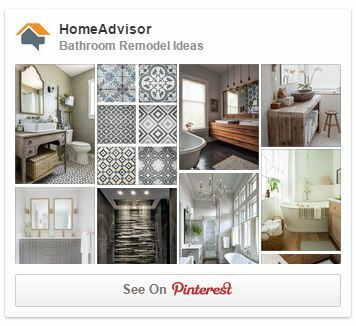 Rugs, pillows, and decorative accessories can help you personalize the area.